Dumbwaiter lifts are used commonly by service industries including restaurant food lifts, hotels, pubs, banks and libraries. We also supply residential dumbwaiter lifts to private homes across the UK. 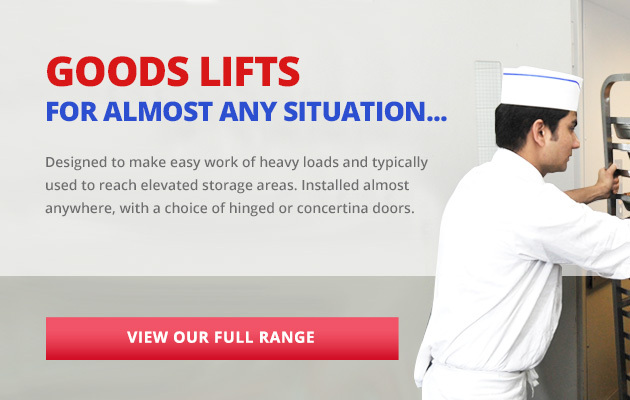 Trolley Lifts are suitable for larger loads of up to 300kg, transported on trolleys or in roll cages. 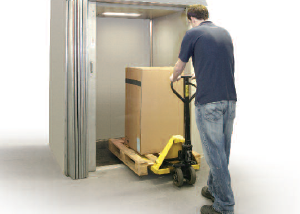 These larger service lifts are typically used for moving larger loads and are designed to help avoid excessive manual handling. Designed to make easy work of heavy loads and typically used to reach elevated storage areas, often on mezzanine levels. Installed within their own structure almost anywhere, and with a choice of hinged or concertina doors. Why use Our Lift Company? Our Lift Company offers fantastic dumbwaiter lift products and services, in a great all-round lift package to suit any project. 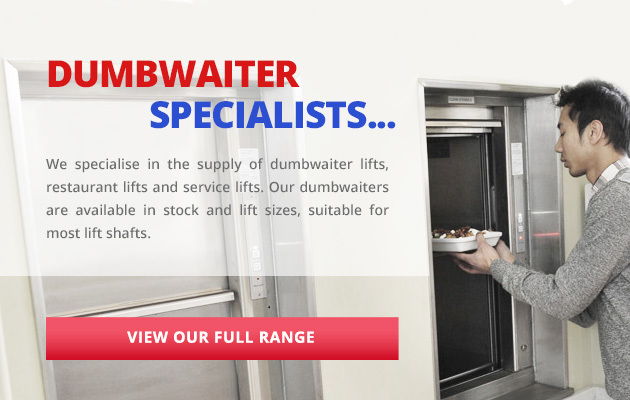 We specialise in the supply of Dumbwaiter Lifts, Restaurant Lifts and Service Lifts, and our wide range of stainless steel dumbwaiters suit most lift shafts. 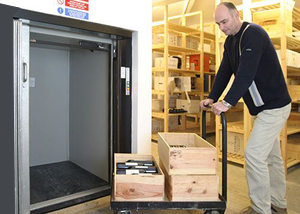 Our experienced lift and dumbwaiter engineers provide quick and efficient installations at a very high standard. 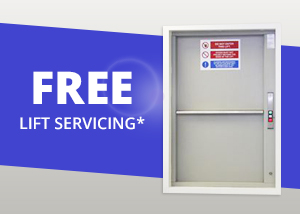 So whether it’s a restaurant lift, pub lift or a dumbwaiter in your home, we have the product and service for you. 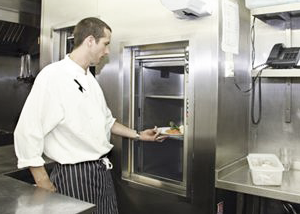 We pride ourselves on delivering fantastic dumbwaiter products within the service lift market. We deliver on time, every time, whilst meeting your specific requirements and lift specification. 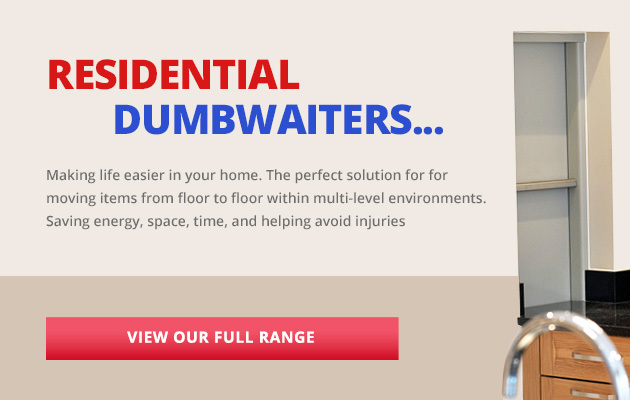 We work closely with architects, builders, restaurateurs and homeowners to provide practical dumbwaiter solutions. Our experience in supplying and installing dumb waiters is second-to-none and we are 100% confident you’ll need to look no further than us for Service Lifts. 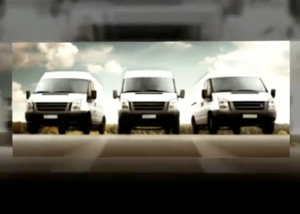 Should your service lift develop a fault, we’ll aim to be with you within 24 hours. We appreciate how important your dumbwaiter is, which is why we also offer FREE Lift Servicing* during the first year of your service contract. 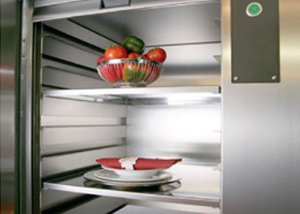 Our dumbwaiter product experience includes Stannah Microlift, BKG Advantage and SKG Dumbwaiters.